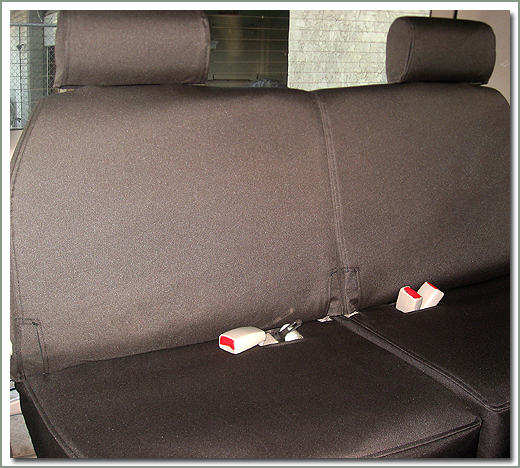 SOR's 100 Series Tuff Duck Slip Covers are the perfect way to cover and protect your factory interior against stains, spills, and everyday abuse from normal wear and tear. 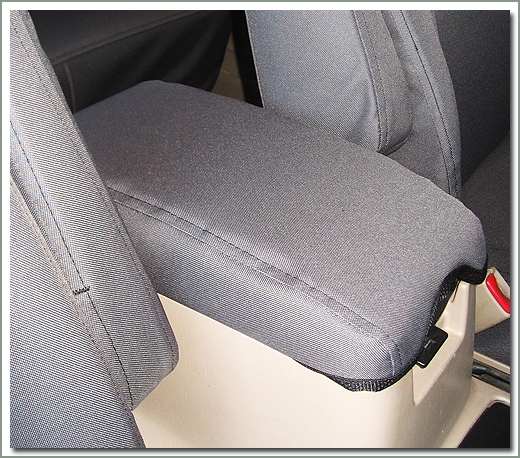 All seat lever controls and seat belt openings are trimmed and finished with sewn binding. 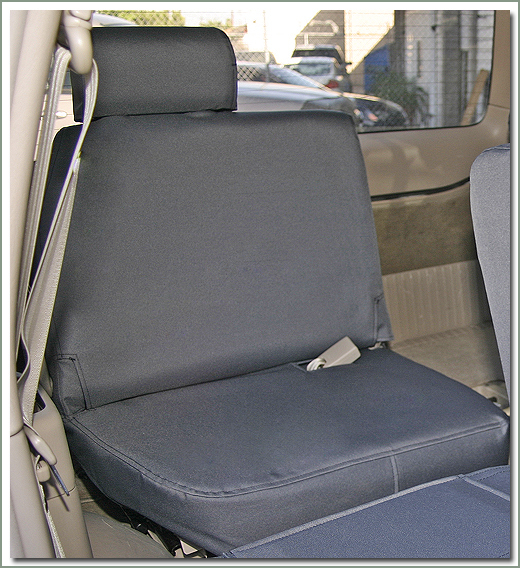 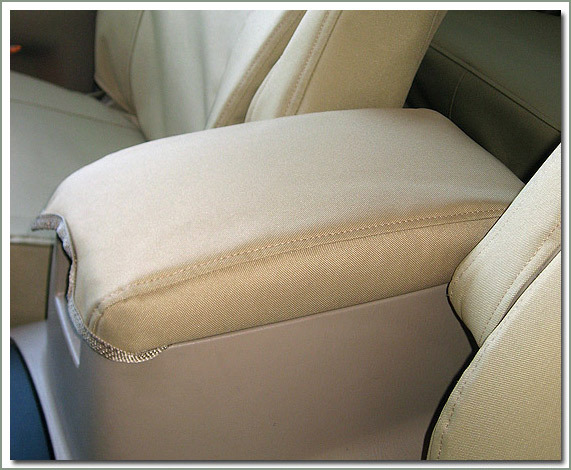 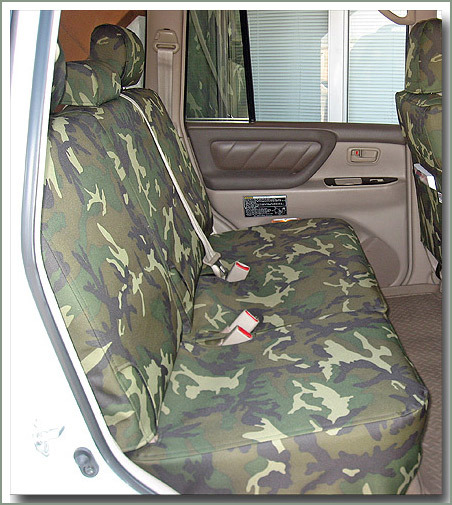 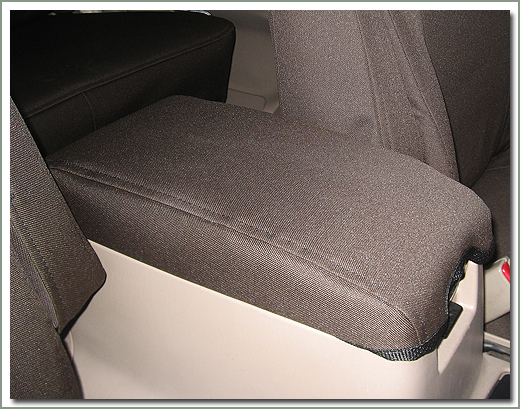 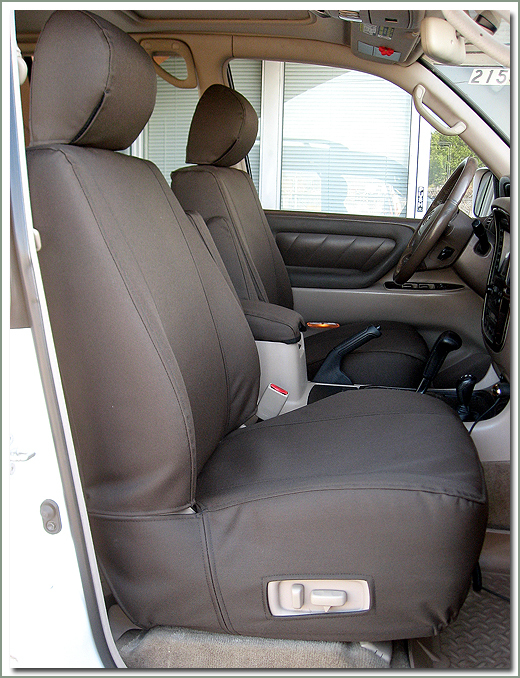 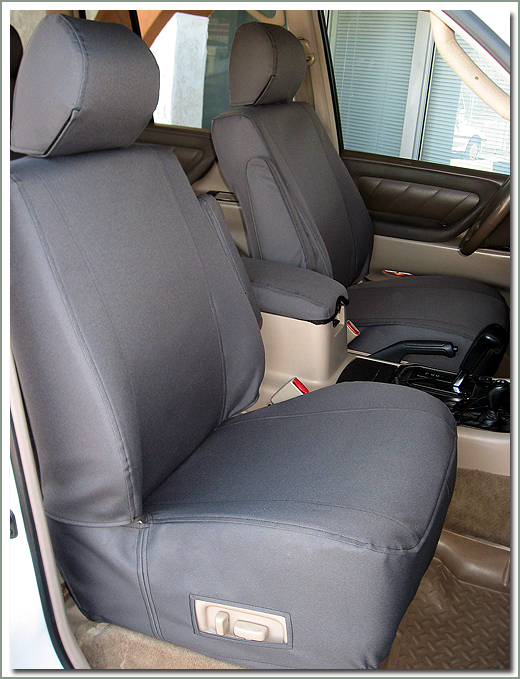 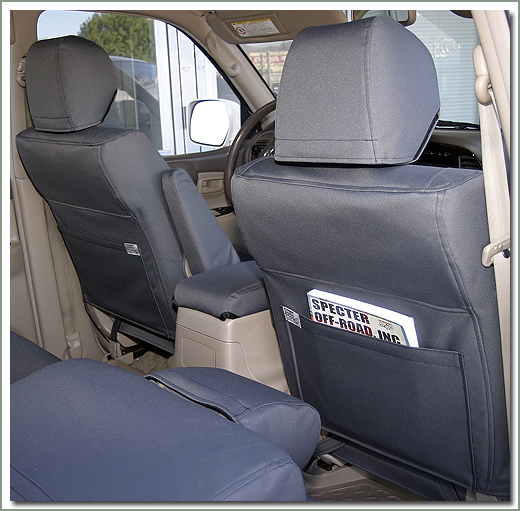 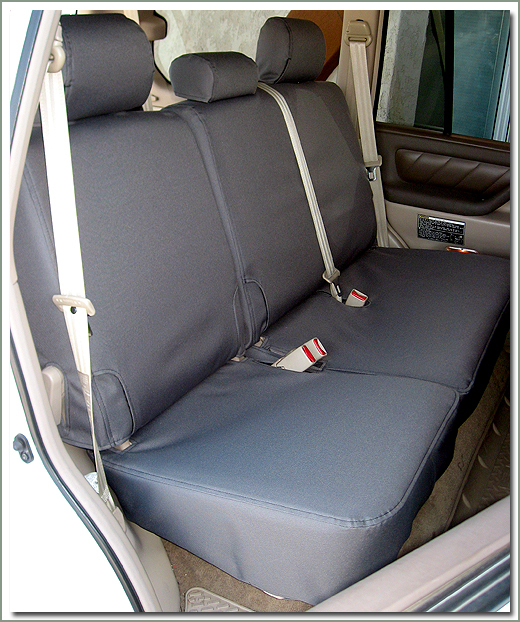 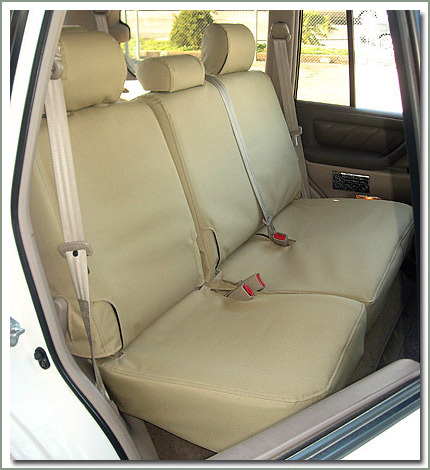 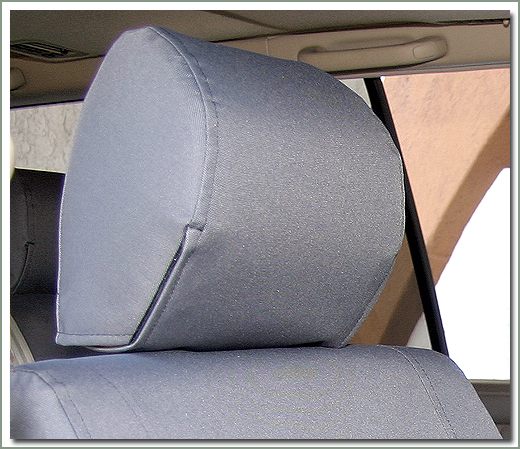 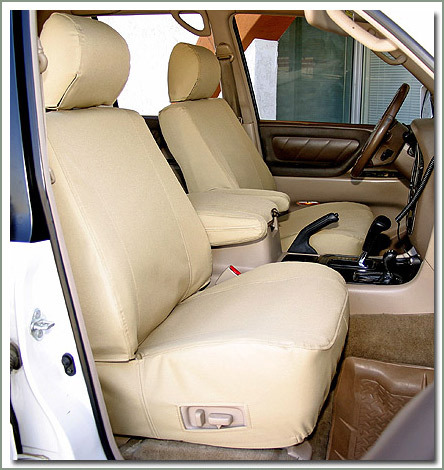 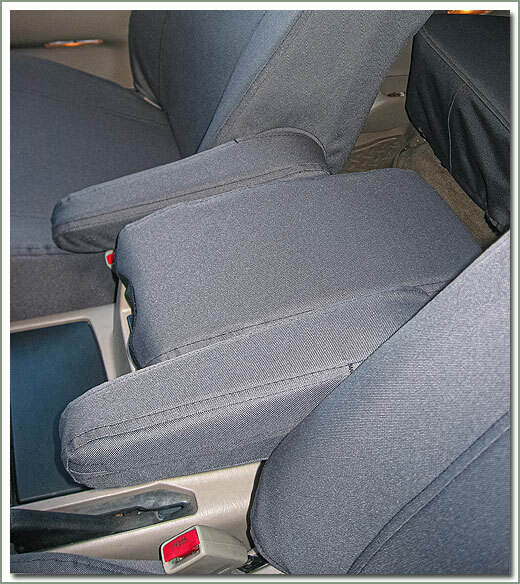 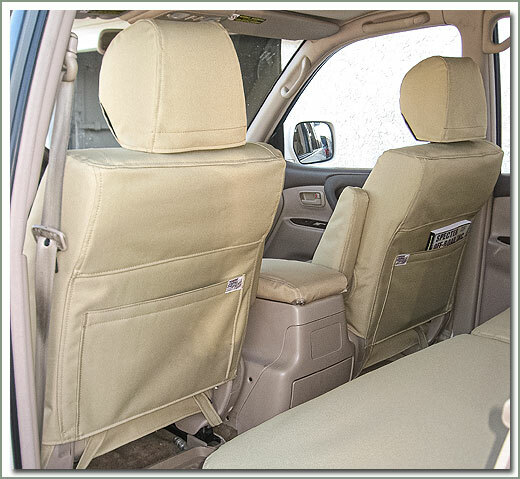 Slip covers come in sets available for front bucket seats, front console cover, mid passenger bench seat, and rear 3rd seats. 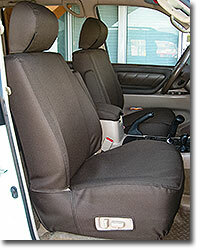 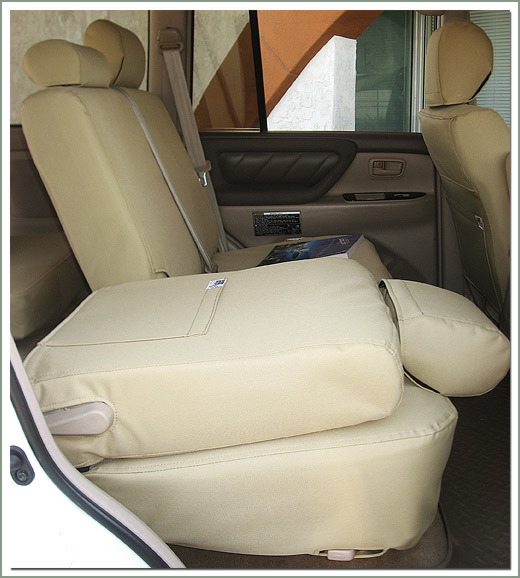 Slip covers come with matching headrest covers. 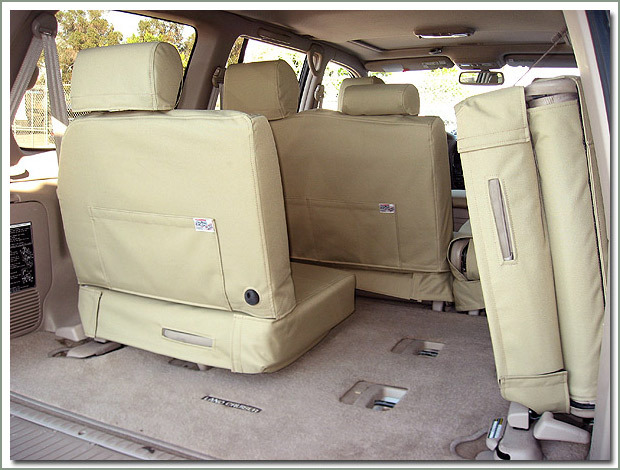 The front & mid passenger slip covers feature a rear back atlas pockets for the convenient storage of maps, large atlas, etc. 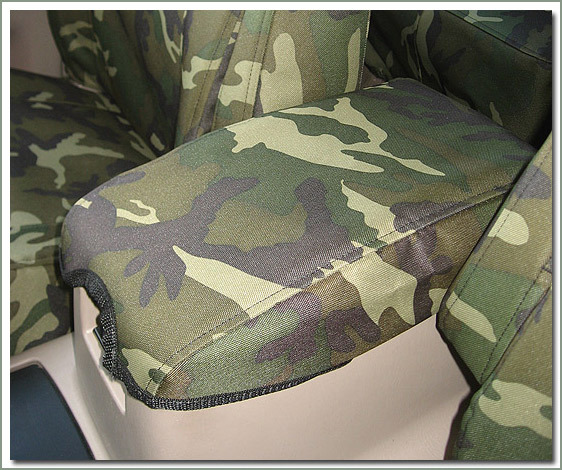 Available in Tuff Duck material in Brown (B), Gray (G), Tan (T), or Woodland Camo (W). 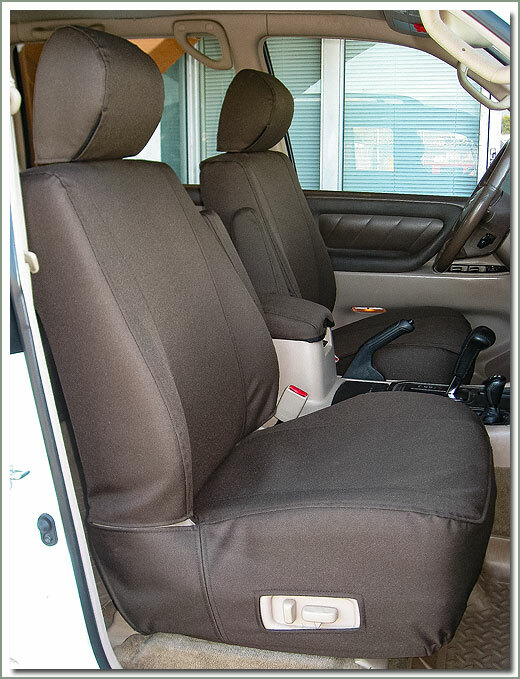 Fits 1/98-2007 100 Series front bucket seats - Brown Tuff Duck fabric - Includes headrest and armrest covers - 6 piece set (1 driver seat cover, 1 passenger seat cover, 2 armrest covers and 2 headrest covers for the front bucket seats) No provisions for factory seat airbags. 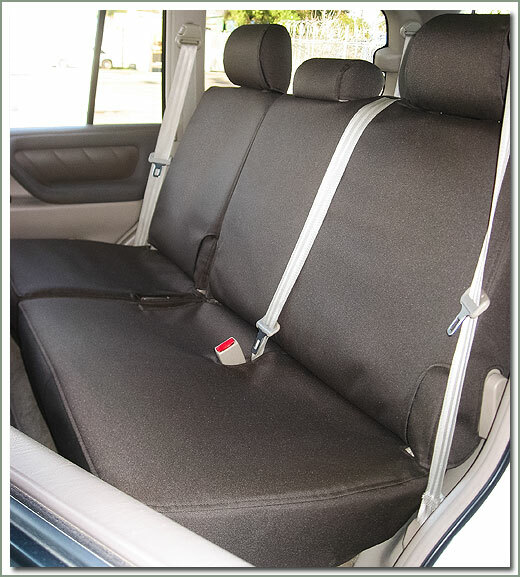 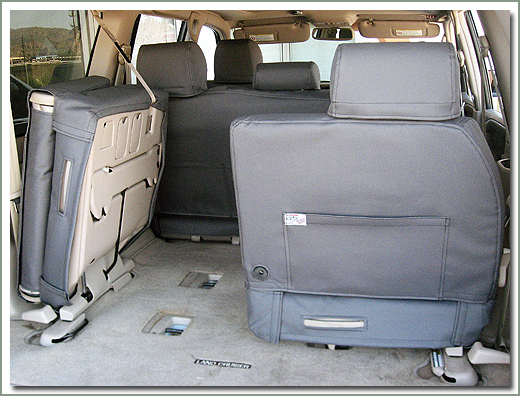 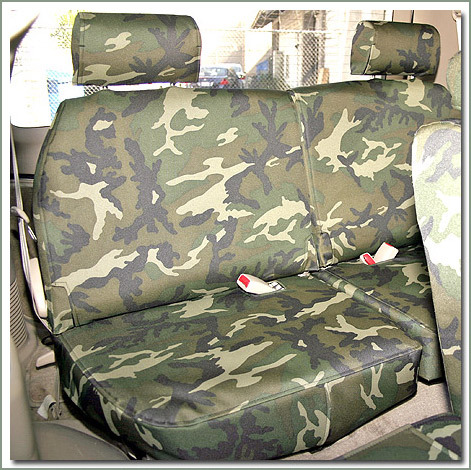 Fits 1/98-2007 100 Series front bucket seats - Grey Tuff Duck fabric - Includes headrest & armrest covers - 6 piece set (1 driver seat cover, 1 passenger seat cover, 2 armrest covers & 2 headrest covers for the front bucket seats) No provisions for factory seat airbags. 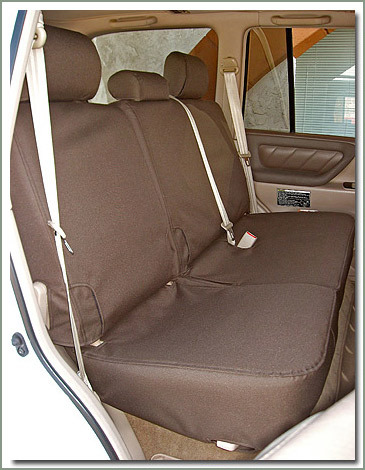 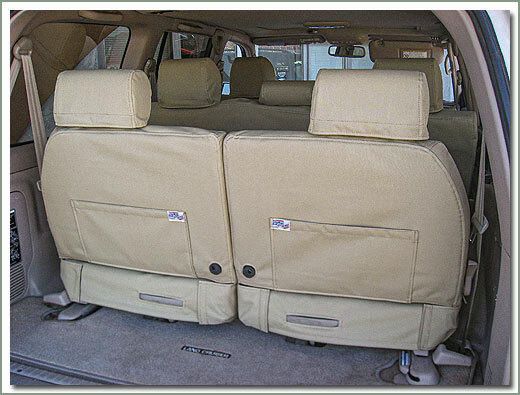 Fits 1/98-2007 100 Series front bucket seats - Tan Tuff Duck fabric - Includes headrest & armrest covers - 6 piece set (1 driver seat cover, 1 passenger seat cover, 2 armrest covers & 2 headrest covers for the front bucket seats) No provisions for factory seat airbags.